Of course, Fritillaria is a typical spring flower. But why shouldn’t you combine it with more exotic products? 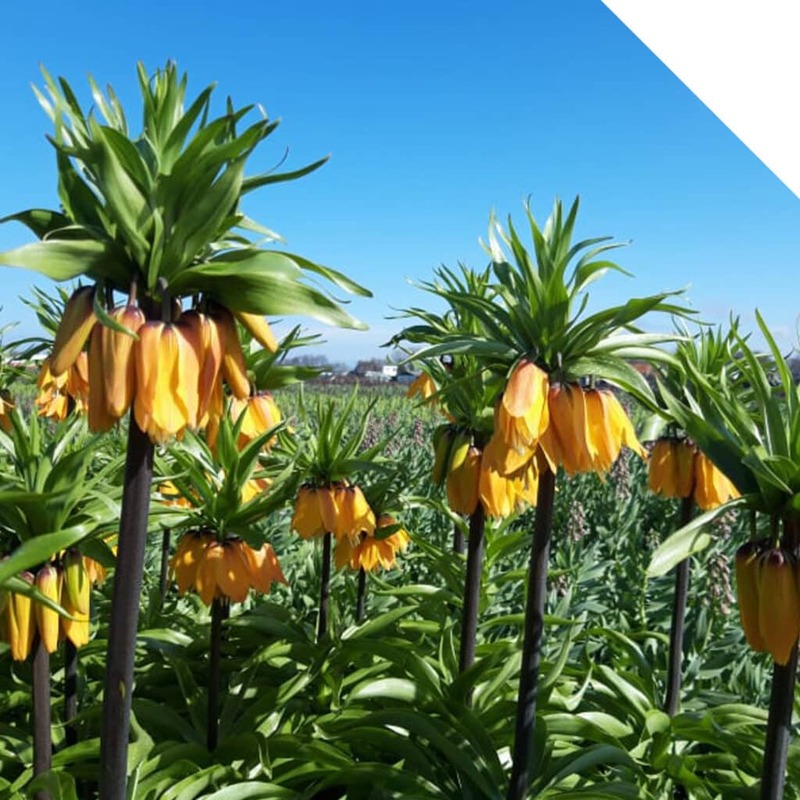 The texture of the larger Fritillaria varieties Ivory Bells and Persica match extraordinary well with the big Protea flowers and the striking colors of the Cordyline. 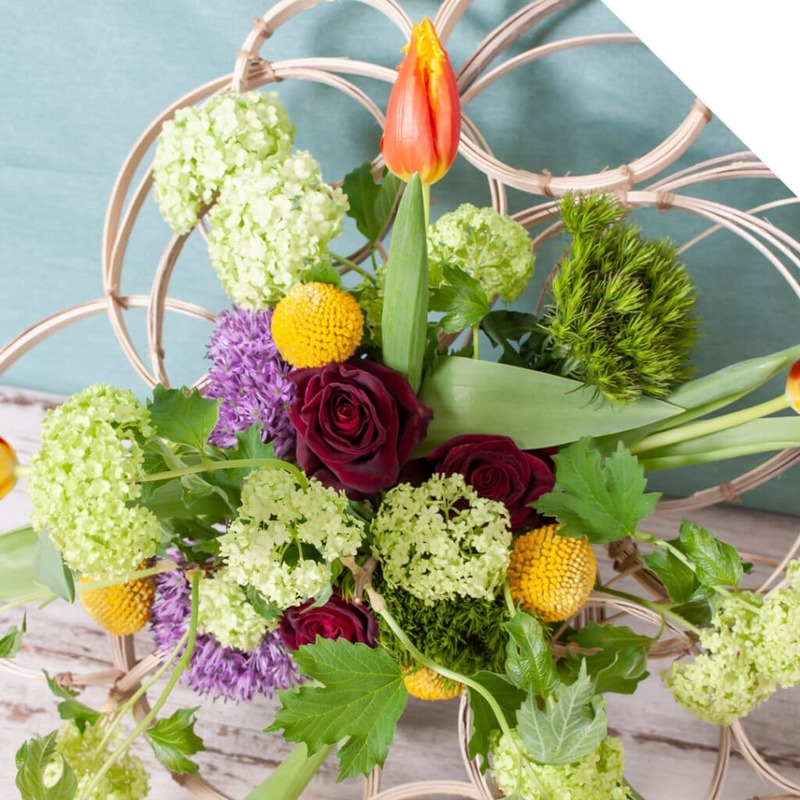 Be inspired by this video tutorial, follow the steps below and create this exotic spring bouquet with Fritillaria. Clean approx. 20cm from the end of the stems of the Fritillarias. Tie the bouquet in your hand. Start with a few stems of Cordyline. Then add all the Fritillaria Ivory Bells stems. Make sure there is a stem on every side of the bouquet. Add some stems of Cordyline. 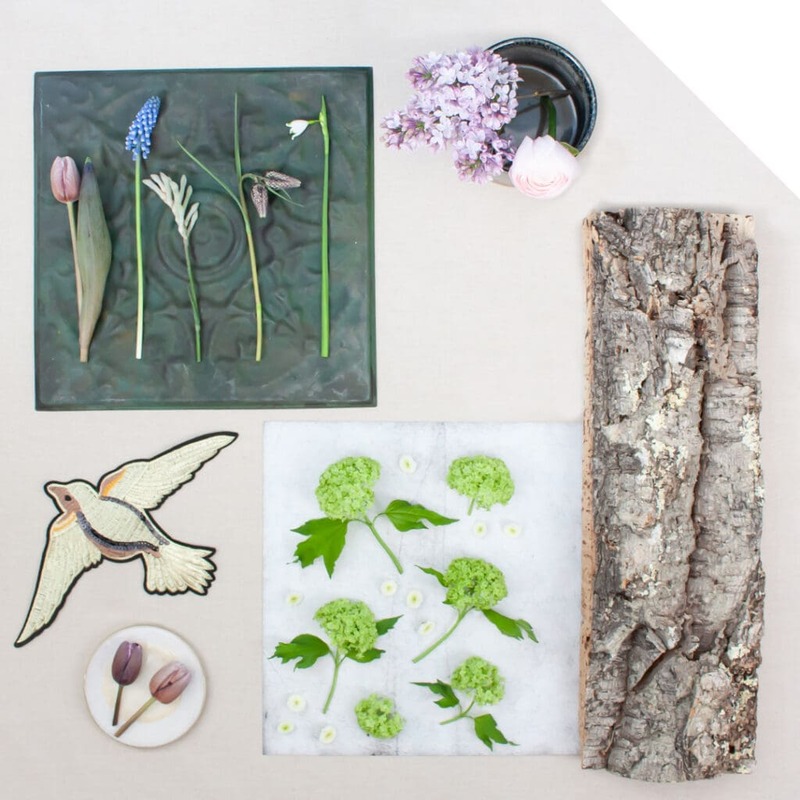 Add all the Fritillaria Persica stems. Now add the Protea’s one by one while adding the last Cordyline stems in between. Cut the stems to the same desired length. Use the floral tape to tightly bind the bouquet. Finally, wind the linen rope over the floral tape. Cut the rope and use a knot to secure it. 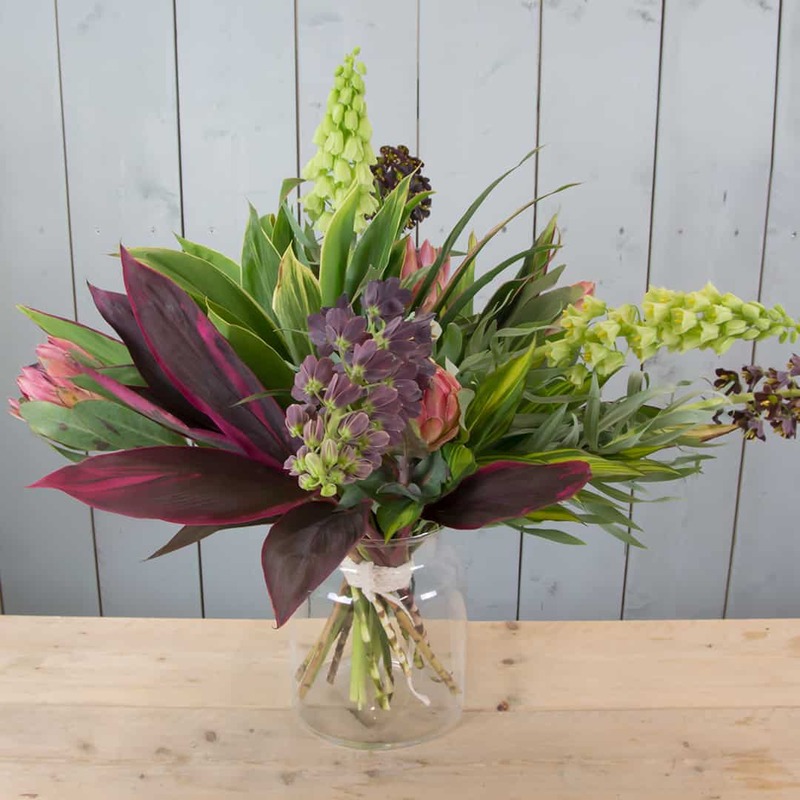 Your exotic spring bouquet with Fritillaria is now ready! Enjoy!